Whether to purchase new properties or looking to refinance your overseas property, the Overseas Mortgage Financing is now here to lend you a helping hand. You can now enjoy a hassle-free way of purchasing property overseas and meeting other overseas financing needs with our wide range of financing options. 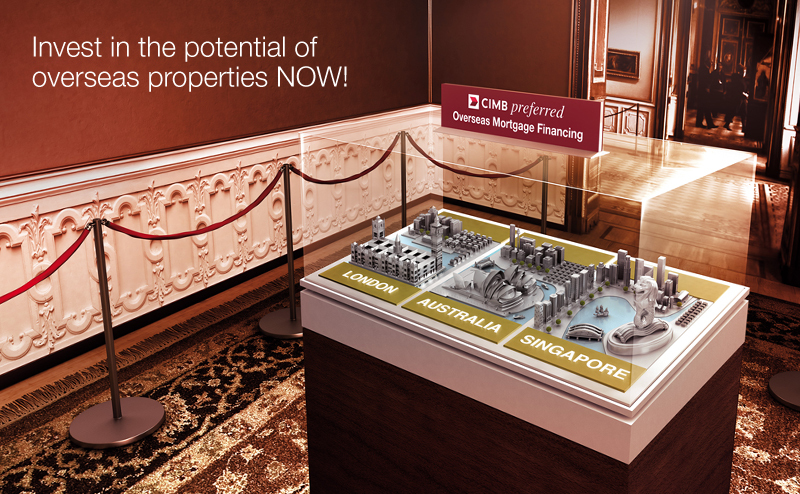 With Overseas Mortgage Financing, you enjoy the convenience of purchasing a house in selected areas of London, Australia or Singapore with ease. This means you no longer have to worry about the hassle of applying for a home loan from an overseas bank.